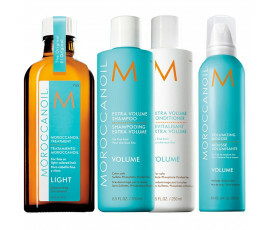 Moroccanoil Volume gently cleanses fine and flat hair while detangling and hydrating it. Volumizing formulas add shine and manageability without weighing hair down. Tilia Tomentosa Bud Extract deeply penetrates hair, plumping it up from the inside out. 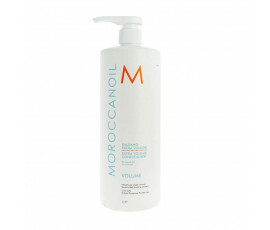 Provides hair with hydration, leaving it frizz-free and shiny, thanks to natural sugar, proteins and hormones.